Bolivia is declared a Plurinational state from the New Constitution. It is a country where ancient traditions live side by side in the Altiplano, the Amazonian rainforest, snow-capped peaks, and heritage cities. Bolivia is the heart of South America offering with its diversity, culture, and living traditions magnificent natural landscapes, a unique experience to each one of its visitors. Bolivia is divided in nine departments: Chuquisaca, La Paz, Santa Cruz, Cochabamba, Oruro, Potosí, Tarija, Pando y Beni. The Bolivian population reaches 10.027.643 inhabitants. The touristic departments of Bolivia par excellence are La Paz, Potosi, Sucre and Santa Cruz. However, there are more and more circuits and services are in the departments of Cochabamba, Oruro, Tarija, Beni, and Pando. The most visited touristic destinations are Uyuni Salt Flat, Eduardo Avaroa National Reserve, Madidi National Park, Lake Titicaca, Jesuit Missions, and the cities of La Paz, Sucre, Potosi and Santa Cruz. Located at the heart of South America, Bolivia is bordered by the Federative Republic of Brazil, the Republic of Paraguay, the Republic of Argentina, the Republic of Chile, and the Republic of Peru. Nothing better identifies our country that its diversity, its culture surrounded by living traditions that have endured over time, and places where nature offers magnificent scenarios and contrasts of incomparable beauty. Live the unique experiences of the incomparable natural richness and the ancient cultures that still persist in our country. 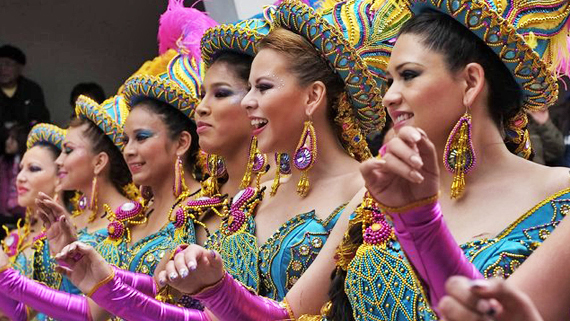 We invite you to feel the beats of Bolivia, the heart of South America! Bolivia is a landlocked country bordering on the north and east by Brazil, on the south by Argentina, on the west by Peru, on the southeast by Paraguay and on the southwest by Chile. With an area of 1,098.581 sq km, Bolivia is the fifth largest country in South America. The characteristic that makes Bolivia a unique country is its topography formed by the contrast between the Altiplano (4000 meters above sea level) and the warm low lands of the east (200 meters above sea level). This is due to the Cordillera of the Andes (mountain chain), which in the Bolivian territory is divided into two chains: the Occidental (western) and Oriental (eastern) or Real. Los Yungas – the transition zone between dry highlands and humid lowlands – is where the Andes fall away into the Amazon jungle, the Brazilian Pantanal and Chaco area. Bolivia is divided into 9 departments: La Paz, Santa Cruz, Cochabamba, Chuquisaca, Potosí, Oruro, Beni, Pando and Tarija; which in turn are divided into provinces. Bolivia is among the 8 mega-diverse countries of the world, which contain more than 70% of the known species on the planet. Its altitudinal gradient, which varies from 90 to 6500 meters above sea level, forms 4 types of biomes, 32 ecological regions, and 199 ecosystems. The most prominent ecosystems that Bolivia houses are the region of Los Yungas, the Amazon, the Chiquitano forest, Gran Chaco, and the inter-Andean forests. The Bolivian territory represents 0.2 % of the world's surface area and its forests reach around 3.5 % of the world's forests. However, Bolivia houses 30 or 40% of the entire planet’s biodiversity. Bolivia has more than 2900 species of vertebrates, distributed in 398 species of mammals, more than 1400 species of birds (the seventh power at a world level), 204 species of amphibians, 277 species of reptiles, and 635 species of freshwater fish. In addition, over 3,000 species of butterflies (occupying the fourth place in the world) have been identified. Bolivia has an extensive calendar of festivals in which local religious and folk festivals are the most representative such as the Carnival of Oruro that was declared by UNESCO as World Heritage of Humanity. Each festivity is quite an event. We start on 1st January with New Year's Day, and then we celebrate the Carnival which takes place in February or March. The Bolivian cuisine is mainly known for its variety. With deep Spanish-Moorish and indigenous roots and transformed by mestizo people and the different moments in history that the country underwent, the Bolivian cuisine has only added more dishes, mixtures and preparations to a long list of dishes. Even though the Bolivian cuisine doesn’t cover all varieties of food, it provides a good sample. Bolivia has several traditional and interesting dishes and drinks. Like most of the countries in South America, in Bolivia lunch is just as important as dinner. Two of the main ingredients in the Bolivian cuisine are meat and potatoes. Most of the Bolivian dishes of Bolivia are not characterized by being spicy, although some of them are the exception to the rule and, for example, can be made with chili peppers as the main ingredient. The spiciest dishes that you will find in Bolivia are fricasé, fritanga, ají de lengua, and spicy chicken. Some dishes that are not spicy are majao, chairo paceño, salteñas, changa de pollo, charque de llama, sandwich de chola, and empanadas. Enjoy an excellent combination of French and Bolivian cuisine. Sopocachi, Guachalla street #399, near 20 de Octubre Avenue. The Bolivian territory has a variety of climates depending on the geographical region. The plains are hot and humid with average temperatures of 25 °C (77 °F) and altitudes ranging between 200 and 400 meters above sea level. 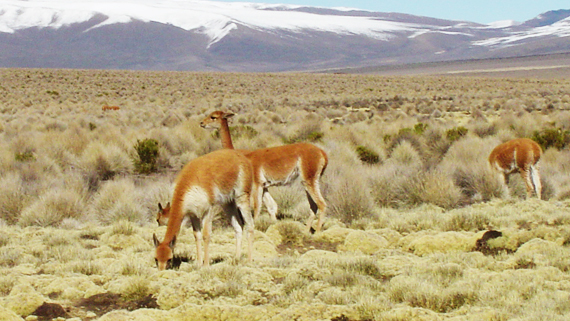 The climate in the valleys is warm and dry with an average temperature of 15C° (50 °F) and an altitude between 1000 and 3000 m. The Altiplano average temperature is 10 °C (40 °F) and an average altitude of 3500 m.
For its biodiversity, 65% of the territory is made up by plains, 15% valleys and 20% is Altiplano (high plateau). The characteristic that makes Bolivia a unique country is its topography formed by the contrast between the Altiplano (4000 m) and the warm low lands of the east (200 meters). This is due to the Cordillera of the Andes (mountain chain), which in the Bolivian territory is divided into two chains: the Occidental (western) and Oriental (eastern) or Real. 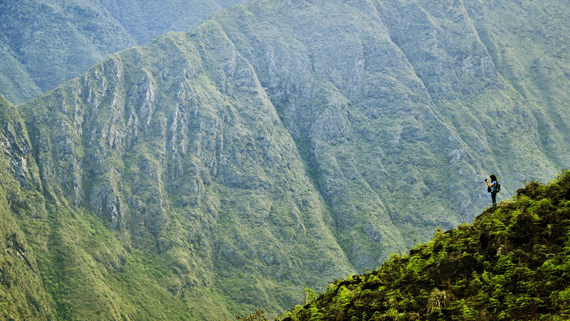 Los Yungas – the transition zone between dry highlands and humid lowlands – is where the Andes fall away into the Amazon jungle, the Brazilian Pantanal and Chaco area. We recommend that you be careful during your trips and stay in the cities. Try to travel only with the essential things; do not leave your backpacks and cameras unattended and you always have to be careful carrying your money, your plane tickets and passport. Some places are more dangerous than others, particularly the bus or train stations, restaurants and in general all public places visited by tourists. Beware of false policemen and taxi drivers. 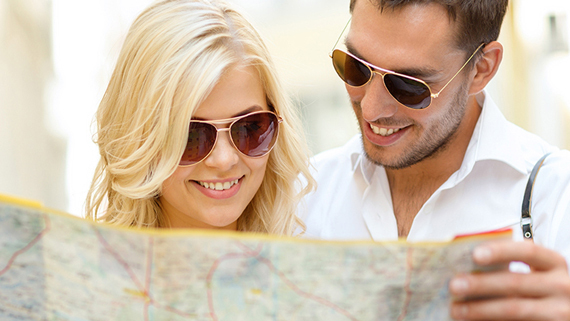 Bring a valid passport for six months beyond the period of your intended stay in Bolivia. See the list of countries requiring a visa. Before you travel please contact the consulate of Bolivia in your country. Passport and photocopies, phone numbers of the insurance company and a copy of the insurance policy, driver's license to rent vehicles, cash, credit card (in $us), phone numbers, address and contacts of LATE BOLIVIA. Electricity and batteries 110V and 220V - Plan to bring an adapter (connections with American standards). Regarding mobile phones, you can only use tri-band devices if you want to communicate to or from abroad. However, you can call from your hotel or from the many long-distance telephone booths that you can find in multiple places of the main cities and almost in all rural towns. For your convenience on the go, it is advisable to travel "light" and only carry what is necessary, in the most compact possible way (a large suitcase and a smaller backpack for the day). If you decide to do hiking or mountain climbing, it is important to limit the weight of your luggage to 15 kg to avoid overloading the stevedores or mules. If you plan to shop, it is only permitted to carry up to 20 kilograms in most air transatlantic flights. It is recommended that you hire luggage insurance. It is recommended that you have a medical examination before your trip due to altitude of some of the destinations in the country and climate variations. Some recommended vaccinations: Polio, typhoid, hepatitis A and B and yellow fever when travelling to the Amazon. Travel with a personal first aid kit, vitamin C, aspirin or equivalent, anti-diarrheal medicine, intestinal antiseptic, long-spectrum antibiotic treatment, anti-inflammatory ointment, eye drops, adhesive tape, Band-Aids, disinfectant compresses, cold and sore throat medicine and burn creams. The distances between cities in Latin America tend to be quite large, in many cases of 8 hours or more. Therefore, one of the ways to save money is to travel at night and sleep in the buses. The cheaper hotels are in areas close to bus or train terminals. However, these areas are not very safe. You must be careful when eating on the street or markets as the food preparation can be questionable. However, these places are quite affordable. In Bolivia, it is not difficult to bargain the prices of crafts, but it is much better to buy crafts in group to get a bigger discount.